I always love to support small, up and coming businesses and take pleasure in using my blog to introduce new and exciting companies to you all. Every now and again, I come across a company that catches my eye, and today that is The Happiness Boutique. 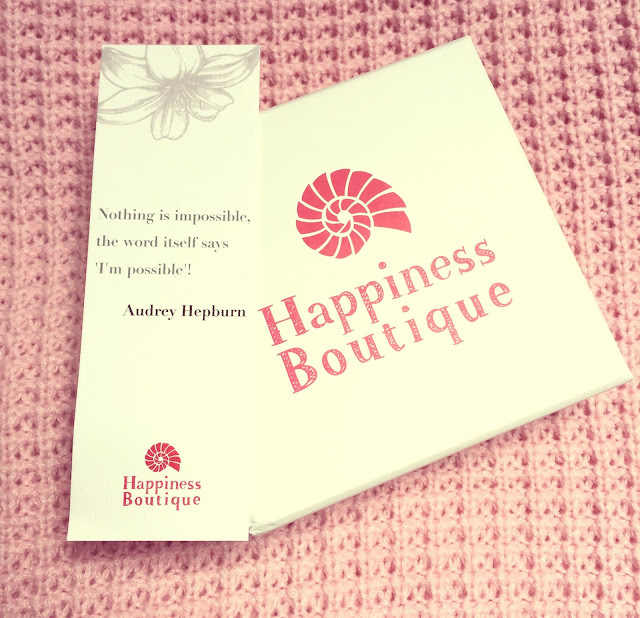 Built on positive foundations, the mission statement for The Happiness Boutique is: 'to be happy and spread happiness everyday'. 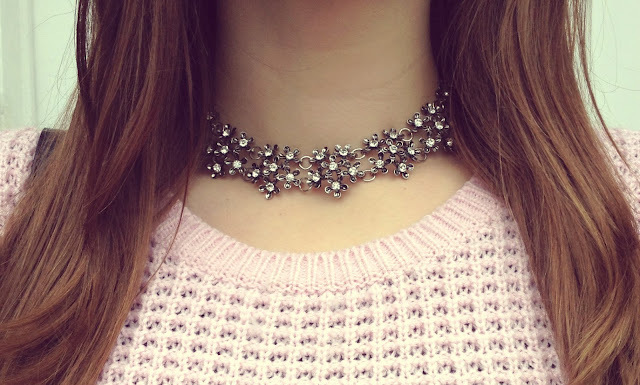 The online boutique has a lovely selection of clothing and jewellery, and being a sucker for accessories, I was instantly attracted to their wonderful selection of statement necklaces. I was fortunate enough to receive this silver beauty for myself, and it's fast becoming my favourite piece for both casual and smart outfits. Have you purchased from The Happiness Boutique before? The necklace goes so well with this outfit! this outfit is so cute and pretty! love the necklace! Wau Very nice outfit! I love your flowers skirt and necklace is so good. I've never heard of them before, I'm definitely going to check it out! Love this outfit!! 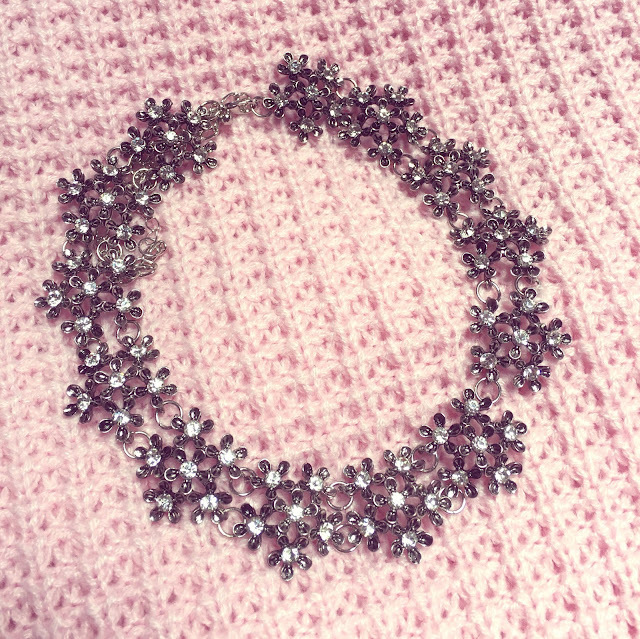 How beautiful this necklace! Super luxurious! I really like your whole outfit. 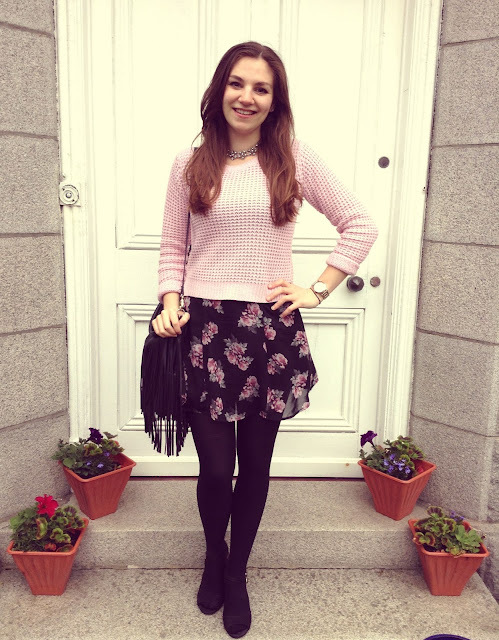 I love pairing jumpers with skirts - and that necklace complements it perfectly. What a gorgeous necklace and look on you. Looking cute! This outfit is so perfect! I love the combo of the floral skirt and the fringe bag. The Happiness Boutique sounds lovely, I'll have to check it out! Great post! Oooh, I love your look! It's so cute and fun! The sweater and the skirt looks adorable together! The Happiness Boutique looks amazing! Love your outfit, The necklace finishes it off nicely! Such a cute outfit. I love that bag. Wonderful look and nice colors! Your necklace is so cuteeee! You look beautiful <3 Love the outfit and the necklace is so pretty!! You look amazing! Love the necklace and the sweater! Their philosophy is so nice. Love your necklace. They just contacted me. I chose a necklace and can't wait to get it. Beautiful post. so pretty, I love ur knit n the design on that.